Debbie has over 30 years of experience in Terminal Funding Annuities and Single Premium Group Annuities. She has collaborated with individuals as well as large corporate sponsors to help purchase Terminal Funding Group and Individual Annuities that best fit the particular needs of each individual client. She holds a Kentucky Residence Insurance License and is licensed as a non-resident in various other states. Debbie has also earned her Certified Employee Benefit Specialist (CEBS) designation offered through the International Foundation of Employee Benefit Plans and the Wharton School of the University of Pennsylvania. Debbie started her career with New York GIC Exchange, working amidst actuaries, consultants and brokers in the qualified and non-qualified annuity area. She decided to expand her business by departing New York GIC Exchange to form her own firm called Sharp Benefits, Inc. which is a terminal funding and employee benefits firm. In 2004 Debbie joined BCG to continue her career in the qualified pension field. Debbie is now responsible for marketing strategies and client relations and is a very valuable individual to BCG. 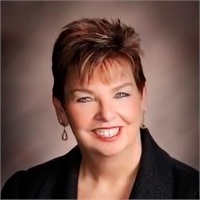 Debbie is involved in the local Chamber of Commerce and has served on the Chamber Board of Directors, as well as being on the Board of Directors at Mt. Moriah Christian Church in Pendleton County, Kentucky. She has spoken at various functions regarding small business employee benefits programs in Northern Kentucky.